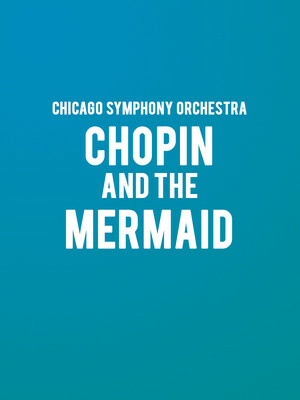 Why See Chicago Symphony Orchestra - Chopin and The Mermaid? Described by the Los Angeles Times as possessing virtuosity beyond his years, acclaimed British pianist Benjamin Grosvenor makes an electrifying debut with the Chicago Symphony Orchestra performing Chopin's First Piano Concerto. Although named Chopin's First Piano Concerto, it is actually his second, but was cataloged as his first because it was published before his first. Chopin wrote the movement during his teenage years, so its emotive expression and expanse is remarkable. It is rousing stuff, performed in a way that will pull on the heartstrings. 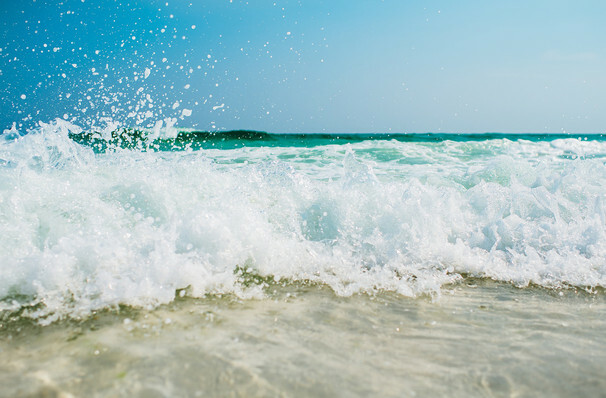 Revered conductor and one of the foremost French musicians of the day, Emmanuel Krivine leads Zemlinsky's lively symphonic retelling of Hans Christian Anderson's fairytale fantasy, The Mermaid. He is renowned for his colorful interpretations and, as a result, has become a favorite with leading musicians and orchestras around the world. He has recently become the Orchestre National de France's first French musical director in more than 40 years. Recognized as one of the greatest orchestras in the world, the Chicago Symphony Orchestra attracts some of the most accomplished musicians of the modern age. It has enjoyed success on stage through home-turf performances, sold-out international tours, and through best-selling recordings. A visit to hear it play at its home at the Symphony Center, where, together with performances at the Ravinia Festival, it clocks up more than 100 concerts every year, is a very special one indeed. Sound good to you? Share this page on social media and let your friends know about Chicago Symphony Orchestra - Chopin and The Mermaid at Symphony Center Orchestra Hall. Please note: The term Symphony Center Orchestra Hall and/or Chicago Symphony Orchestra - Chopin and The Mermaid as well as all associated graphics, logos, and/or other trademarks, tradenames or copyrights are the property of the Symphony Center Orchestra Hall and/or Chicago Symphony Orchestra - Chopin and The Mermaid and are used herein for factual descriptive purposes only. We are in no way associated with or authorized by the Symphony Center Orchestra Hall and/or Chicago Symphony Orchestra - Chopin and The Mermaid and neither that entity nor any of its affiliates have licensed or endorsed us to sell tickets, goods and or services in conjunction with their events.